Accurate thermal conductivity testing of insulation materials. Frehnig Net Eat Meters, takes care of flow measurement and monitoring needs with maximum efficiency. 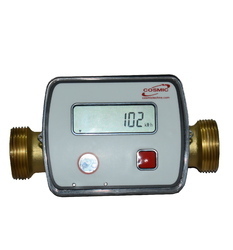 The flow meter comprises of a magnetic flow tube and an electronic flow converter. Our organization has gained name and fame by offering Infrared Radiometer of excellent quality to our clients. Low maintenance and rugged finish are some of the key features of these radiometers. Infrared Radiometer we offer is highly demanded in the market for its durability. 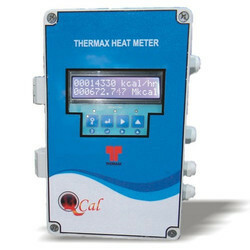 Qcal (Heat meter) is an online metering system installed at the outlet of Thermic Fluid Heater/ Hot Water Generators/process equipments to measure heat input to process equipment / heat generation by heater. Pietro Fiorentini India Pvt. Ltd.
Suraj Electrical & Engineering Co. The CF Echo II is part of the new generation of Itron ultrasonic heat meters. Electronic data processing gives high precision throughout the entire measurement curve, producing a dynamic range exceeding class C.
- Measure and real time display of cooling/heating consumption, flow, temperature, accumulative cooling/heating consumption and flow of water systems.